Sri City, July 28, 2017:- A new fire station was inaugurated on Friday in Sri City. In a formal function held at the premises of the Fire Station, Mr. P.S. 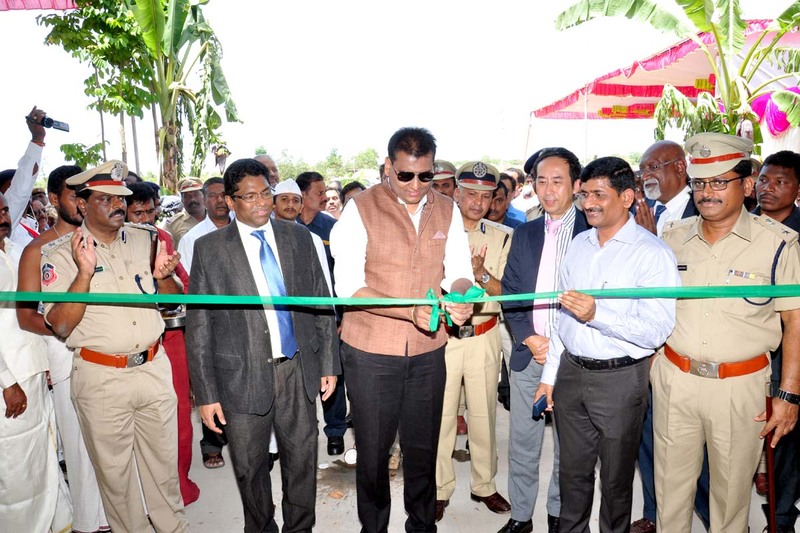 Pradyumna, IAS, District Collector, Chittoor inaugurated the facility in the presence of Mr. K. Satyanarayana, IPS, Director General, AP Fire & Disaster Management. Others dignitaries present on the occasion included Mr. S.V. 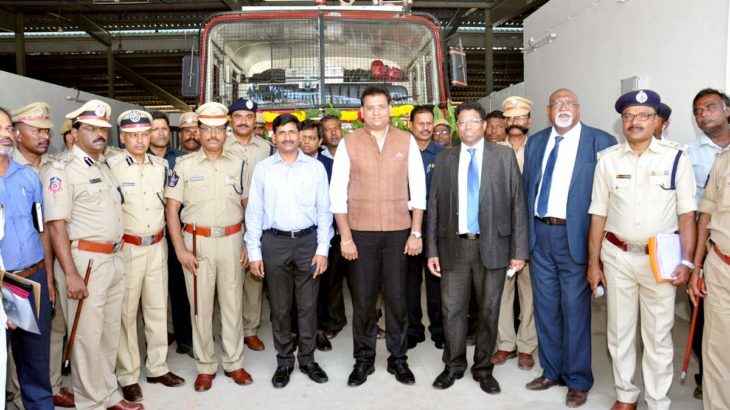 Rajasekhara Babu, IPS, Superintendent of Police, Chittoor, Mr. Yukihiko Okuno, Representative of JETRO, Mr. Ravindra Sannareddy, Founder Managing Director, Sri City, Mr. K. Balaram Nayak, Director of Fire Services, Mr. Murali Mohan, Regional Fire officer, Mr. V. Srinivas Reddy, District Fire Officer and a host of senior executives of the industrial units. Appreciating the Fire Department for quickening the process of issuing no objection certificates for industrial units, Mr. P.S. Pradyumna said,”But for your support it would not be possible for us to accord approvals. On an average we are clearing the cases in 8.6 days.” He thanked the DG for the pro-activeness of his entire department. Speaking on the occasion Mr. Ravindra Sannareddy said,”In a recent meeting, when the Japan External Trade Organisation representatives brought some of the issues to the notice of the honourable CM, he reacted very positively, and approved ‘then and there’ a dedicated Fire Station to Sri City. We are very thankful to him.” Thanking the Director General for commissioning the facility, just within two weeks, Mr. Ravindra conveyed his sincere thanks and appreciation. Mr. Rajasekhar Babu told, Government sanctioned the Fire Station and Hitech Police Station to Sri City on a priority, and “We will extend all our support to make it a safe and secured place,” he added. The fire station is located on the Central Expressway, adjacent to Danielle.